Welcome to Why I Love Wednesdays! For the month of June and July, my blogging friends will pop in to share their book loves! I know you get tired of hearing me gush on and on so let's hear from my fellow gushers :) Why I love which takes place on Wednesdays. Today's proclamation of love concerns our Favorite Websites! Hi there guys! It’s Amber from Du Livre and I’m excited to call Reflections of a Bookaholic home for a day (er...post). GoodReads This site is why I decided to blog. I never knew a community about books existed and I loved that I could read reviews, look at pretty covers, and complain about plot points with fellow readers. It’s kind of like facebook for books...except without the games and the long lost relatives who keep poking you. XPresso Reads Not only is Giselle on top of EVERYTHING, she is also such a sweetheart! I love Xpresso Reads because of the quality reviews that are always honest. Xpresso Reads is also filled with such great information: blog tours, cover reveals, guest posts, fun memes and zombies! If you haven’t been there, I highly recommend you do so! ParaJunkee Rachel has such a FUN and informative site! She has the ever helpful “Book Blogging 101” which basically goes over book blogger etiquette and I appreciate that her personality really shines through her blog. She has a great (and honest) sense of humor, her posts are always entertaining (just saw that she posted a Shades of Grey parody...go watch...now) and her designs are soo pretty! Amber in Blunderland/Down the Rabbit Hole Her name is also Amber so I OBVIOUSLY have to feature her! :p I really enjoy this site, she has great blog post discussion, memes you wouldn’t find anywhere else and great reviews! Not only are her posts creative and thoughtful, her design layout is SUPER cute! On the Shelf I love Vyki’s site! It’s full of fun memes and great reviews! Did I mention that Vyki is awesome, because she is. I love that she reviews both paperback books and audiobooks and includes a ‘mini-review’ of the audio book narrator. As someone who is extremely wary of audiobooks, I love having this information! She also has great giveaways! Visit!!! And of course we all love Reflections of a Bookaholic! With such a broad genre of reviews and great new challenges, what’s not to love? As an avid reader, I frequent many bookish websites. There are tons of blogger sites that I absolutely love but on the professional side, my two favorite (and most informative) bookish sites are Goodreads and Edelweiss. If you are a book lover who likes connecting with other avid readers, checking out reviews or winning free books, Goodreads is an absolute must! I love commenting on other reviews and getting excited with my fellow readers over upcoming releases. Goodreads also lets you organize and categorize your books, which comes in handy when you read a large volume of books like I do. My other favorite is Edelweiss, an online publisher catalog service that replaces traditional hard-copy publisher catalogs. From a reader/blogger end, Edelweiss allows me to view publishers’ catalogs and see which books are coming out soon, get information about the author, see comparable titles and in some cases, request digital advanced reading copies for review. The site also shows you marketing plans for some books such as if the author will be on tour, if the publisher plans on providing advanced copies for review, or if the book will be available on NetGalley (another awesome bookish site!). While these are just two of my favorite bookish site, there are tons more out there. What are yours? ~NC from Truly Bookish My name is NC and I have been blogging at Truly Bookish for about a year and a half. 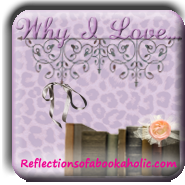 While I love YA books and review a lot of them, I also adore historical and Christian fiction. I’m originally from the beautiful island of Jamaica and am also a wife and mom to two active and extremely handsome little boys (I’m partial, I know). There is one bookish website I love over all others. It just fits me perfectly and I would be utterly lost without it. That site is Goodreads. For a booklover like me I need a place to keep track of books I have read and books I want to read. It has become my go to place. Because you find everything here, from pagecount to character names. It all comes in handy when I have a review to finish and I wonder about things. And of course it would be nowhere as fun without my bookpeeps. Another place I want to talk about is the glorious Bookdepository sites (http://www.bookdepository.com/ and http://www.bookdepository.co.uk/). They are cheap..really cheap! And the best thing of all, no shipping cost. If I go into a bookstore here the books will cost twice as much. No wonder I love Bookdepo and they ship all over the world. It’s a true goldmine and I urge everyone to check it out. When it comes to bookblogs I follow a lot, and I love them all too. So it would feel strange to talk about a few good ones, since I in the end want to mention them all. But I can take a few funs ones. Those who give me laughs. Babbling about books and more!ame thing here, I love her WTF posts. They make me laugh and the cover of some books. *shakes head* Those are the two that gives me bookish fun, together with reviews and more. There are more I would love to mention (you guys know who you are!) You are the people that make me buy books, the ones that make my TBP grow sky-high. You are the ones whose reviews I trust and the ones blogs I visit every day. My blog is called Book Girl of Mur-y-Castell. I could never stick to only one genre so I read most (UF, PNR, HR, Chick-lit, historical fiction, fiction and my beloved favorite fantasy.) I have been blogging for over 3 years and I have loved every second of it. I write about books because that is what I like doing, reading is a passion and I wish there was more hours in a day. Which websites do you love? Feel free to create your own post and link up. Don't want to create an entire post? Tell me your favorites in the comments. Thanks for stopping by for another week of Why I Love Wednesdays!! Am I slow today? I can't seem to find where to link up! Ugh! Oh gosh! I could make a list a mile long! I agree with most of the sites listed up there too! Ahh, Goodreads. I barely go a day without visiting that site. And agreed that Rachel (Parajunkee) is FAB! YES! If I'm not careful, I could lose hours at work browsing all these amazing websites. Great websites! I like Goodreads too, but I forgot to post my reviews on there. lol. Bad, I know! I could be on the Internet all day.